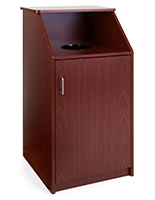 Made with you in mind, this top-loading restaurant receptacle is perfect for any food service industry. 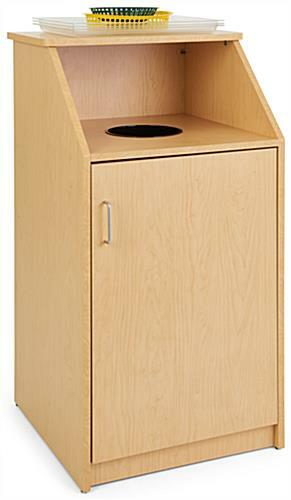 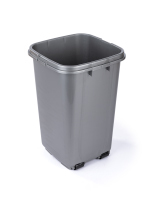 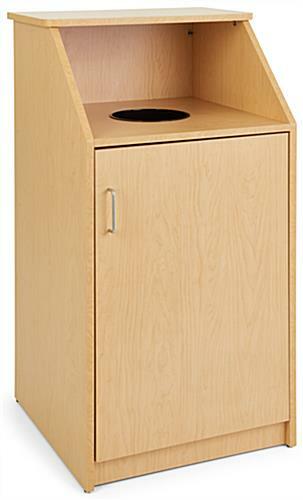 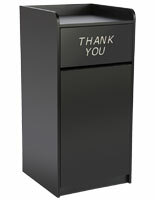 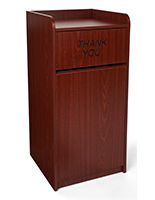 With a 45” tall build, this fixture accommodates trash cans with up to a 36 gallon maximum capacity. 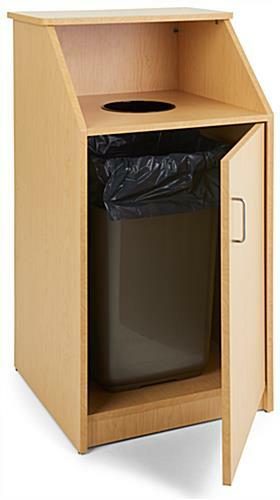 The large receptacle features a hole with a 7.875” opening that fits large amounts of food or other waste. 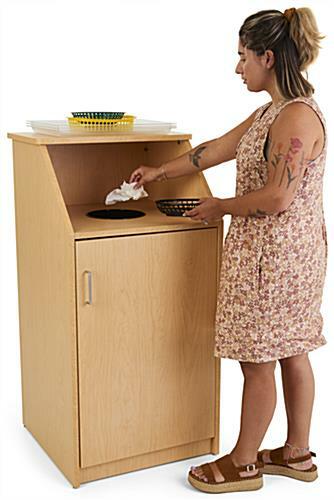 Additionally, a hinged door offers easy access to the trash cans for quick clean-up. 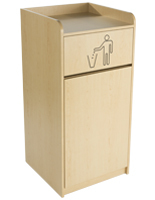 Crafted from wood with a maple finish, each waste container will look great in any environment while hiding unsightly bins. 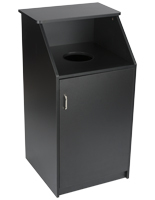 Place trays onto the upper shelf of this receptacle for an orderly way to maintain your café. 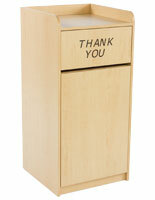 22.5" x 45.0" x 23.5"
Hi Anthony, Thank you for your feedback.